Carlton House was a palatial mansion that stood on the north side of the Mall. It was rebuilt from an existing house for Henry Boyle, 1st Baron Carleton (1669–1725), shortly after 1700. Frederick, Prince of Wales, bought the house in 1732 and it was granted to his grandson, George, later Prince Regent, in 1783. George remod­elled, decorated and furnished Carlton House with excellent taste and at great expense but he moved out on his ascent to the throne as George IV in 1820. The mansion was demol­ished a few years later, to be replaced by Carlton House Terrace, which consists of a pair of terraces, each of nine sumptuous houses, planned by John Nash (1752–1835) and completed in 1832. Former residents have included three prime ministers and more than a hundred members of the British and European nobility. 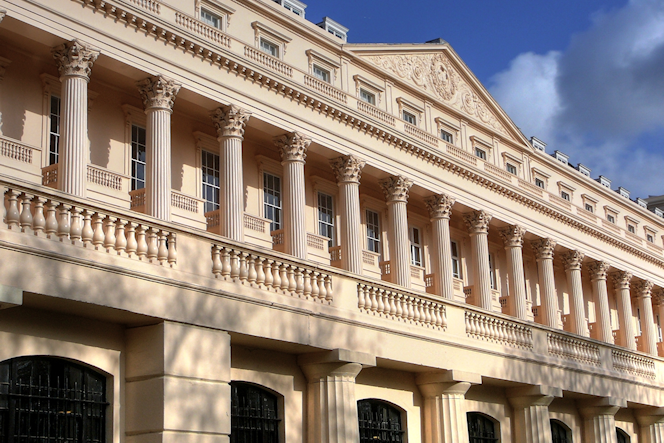 Carlton House Terrace is presently home to several important insti­tu­tions, notably the Royal Society and the Institute of Contemporary Arts. Early every July, the Royal Society Summer Science Exhibition showcases innov­ative science, technology and engin­eering from around the UK, and there’s a programme of talks, panel discus­sions and family events. The exhib­ition is free and open for all to attend.